The Greenville Drive baseball team is in town through tomorrow playing against the Rome Braves at Fluor Field. And there will be fireworks again tonight after the game! 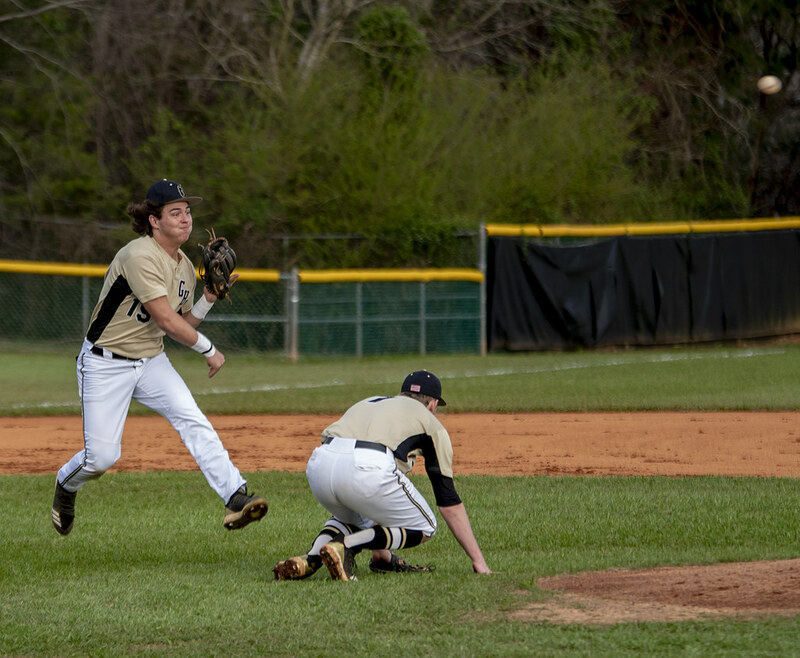 Greer Yellow Jackets vs Greenville Varsity baseball. Greer, South Carolina. 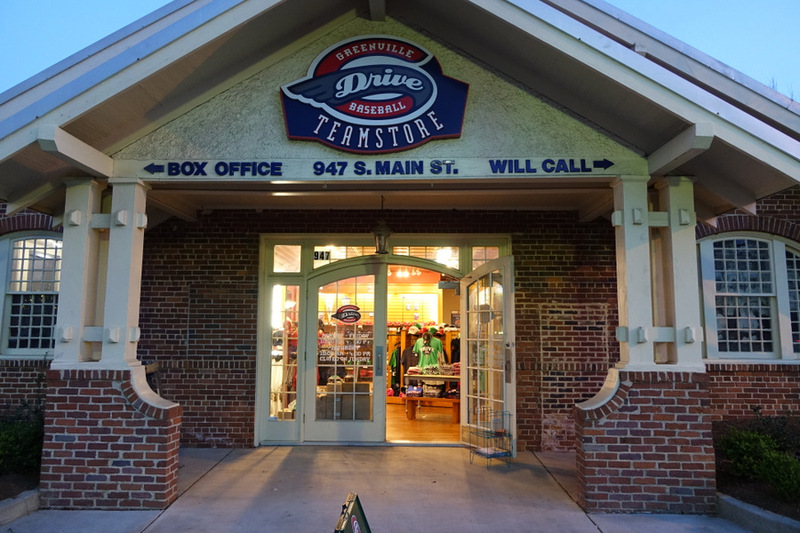 The Greenville Drive team store next to Fluor Field in the West End. The Greenville Drive season begins with home games next Thursday. On the last day of the regular season, the Greenville Drive, Class A representative of the Boston Red Sox, lost to the Savannah Sand Gnats (A, New York Mets). Had the Drive won, they would have advanced to the SAL playoffs. This was also the last regular season game for the Savannah Sand Gnats, as they are moving to Columbia, SC next season to become the Columbia Fire Flies. 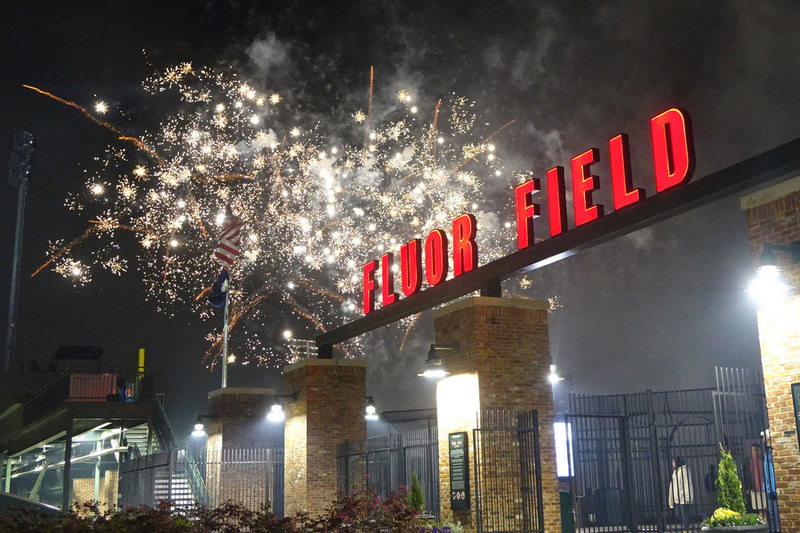 The Friday night Fireworks at Fluor Field after the baseball game. The next Friday Fireworks will be on June 26th after the game. The manual baseball scoreboard at Fluor Field is modeled after the scoreboard at Boston’s Fenway Park, and affectionately known as the ‘Green Monster’. This shows a game in progress against the Rome Braves. The original Braves were a Greenville AA Farm team from 1984-2004, and have since moved to Pearl, Mississippi and are now known as the Mississippi Braves. The Rome Braves are a single-A affiliate of the Atlanta Braves. There is one last home game match against Rome tonight at 7:05PM. With daylight savings time change this last weekend and the shorter days I find myself appreciating the sun. Recently I went for a walk at lunch and took this photo of the sun and it’s reflections on a fence. The fence is at the West End Stadium where the Greenville Drive plays baseball. For those needing a fix of the sun following are photos from around the global City Daily Photo Blog community. Earlier this week I noticed a lot of activity at the West End Field where the Greenville Drive plays baseball. It was obvious they were preparing for the April 9th first game at home. While watching them prepare I tried to take a unique photo. What is shown is the manual scoring system in the “Green Monster” (their score board). My favorite Greenville Drive photo from last year was this one of a player swinging for the fence. For our local readers, I hope you make it to a few games and enjoy downtown Greenville.